It is a requirement of your Agreement, that the goods are protected against Theft and Accidental Damage. We can arrange Theft & Accidental Damage Cover for £0.55 per week. It is a requirement that products purchased on a credit agreement are insured. We can offer Theft and Accidental Damage Cover for £0.55 per week. 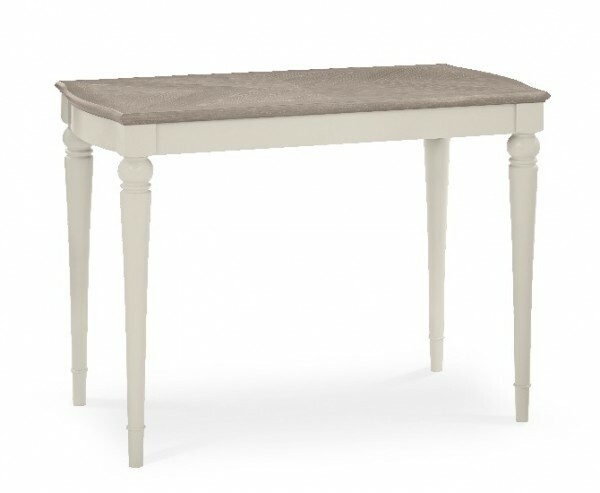 If the traditional table isn’t what you’re looking for then this Madison Two Tone Bar Table is. Crafted elegantly to create a vintage look, this would sit perfectly within your home. Sitting taller than the traditional table, you would need a bar stool.